Michael Bublé has an amazing voice and a slew of awards under his belt, but he may not be winning any popularity contests anytime soon, thanks to one of his Instagram pics. The “Feeling Good” hit maker took to Instagram on Tuesday to share a picture of himself in what appears to be a hotel lobby, and standing behind him is a woman wearing tiny black shorts with some of her bottom sticking out. 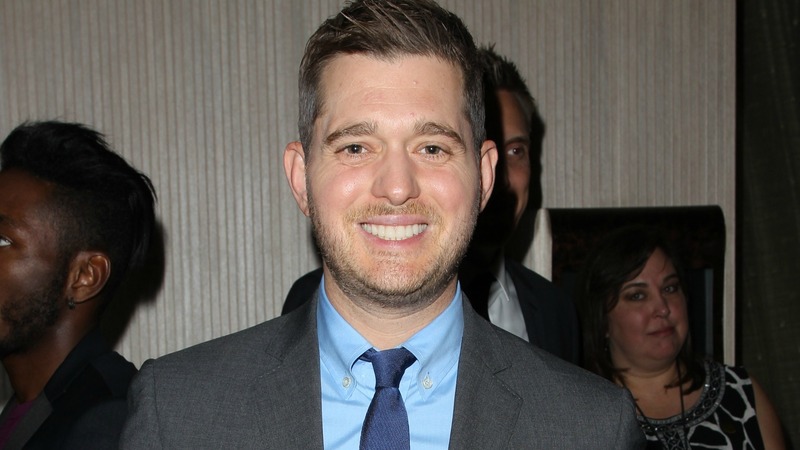 While Bublé did use the hashtag “beautifulbum,” which may seem as though he is trying to be complimentary about the woman, he also chose to tag it with “hungryshorts,” which does not seem very flattering at all — and there are many people who have taken to Instagram to blast the singer for his actions. UPDATE, April 17: Following all the controversy, Bublé released a statement to E! News apologizing to anyone who was offended by the photo. “Anybody who knows me would never misinterpret the message of the photo my wife took in Miami that seems to have caused unexpected rage by some people. I do not court controversy,” the singer explained. You can read the entire statement over on E!’s website. Tell us what you think: Is Bublé being sexist or funny by posting this picture?